One of Lewis Hamilton’s greatest strengths this year, the key component to his second title at the Abu Dhabi Grand Prix on Sunday, has perhaps been his mental fortitude. This strength was especially important in helping him to bridge the gap between himself and Rosberg. Hamilton appeared to control the tempo of the race throughout and his lead over Mercedes team-mate Rosberg was in excess of two seconds by the 25th lap. With Rosberg out of contention after an engine impediment, Hamilton was under instruction to pace himself during the final thirty laps. Williams’ Felipe Massa questioned Hamilton in the latter stages of the race for his use of a quicker, softer tyre set. 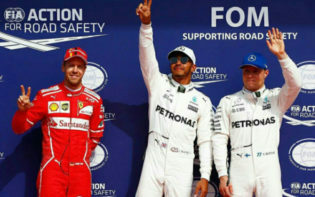 However, Lewis Hamilton’s pre-race promise to drive like he “needed it” translated in the final stages of the race, allowing him to clinch the title. Lewis Hamilton has now joined Formula 1’s illustrious ranks of double world champions after race victory in the season-deciding Abu Dhabi Grand Prix 2014. While Hamilton’s second world title has perhaps elevated him into the pantheon of the greats of motor sport, questions may surface as to whether he deserves to win the accredited British sports personality of the year award for 2014. Seven years after appearing on the F1 scene and almost winning the drivers’ crown in his debut season, Hamilton divides opinions with his popularity. Former British Formula One driver, Sir Stirling Moss, 85, said: “ Lewis can be more of a pop idol than he is a racing driver. But he is bloody quick, that’s for sure.” However, recent opinion appears to conceive that Hamilton, 29, has matured since departing from McLaren and should not be criticised for indulging on a tide of opulence. 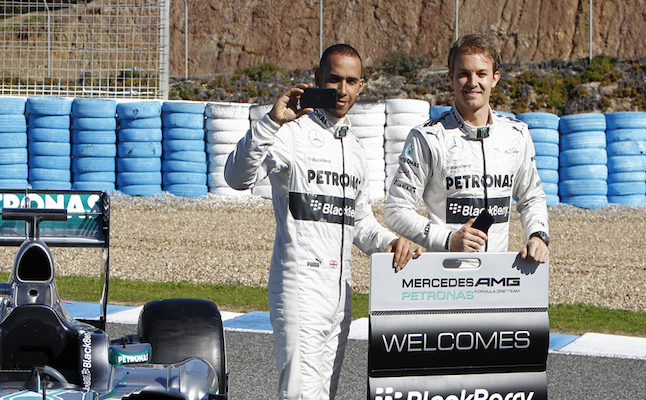 Former driver, David Coulthard, 43, deduced that: “Lewis is more popular today than at any time in his career, as people were questioning who he was when he first appeared and then there was a period when Lewis was concealed a bit, as he was growing into being the multi-millionaire racing driver”. Coulthard added that his “sense of sincerity” and “heart on-his-sleeve style” seems to have connected with the public in recent years. 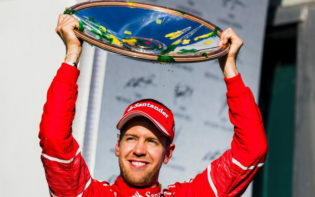 Since just three other British drivers merit the claim to have won more than one world title, it may elucidate the significance of his achievement, especially at his tender age of 29. Many believe that Jim Clark, the Scot who won his titles in 1963 and 1965, was the greatest F1 driver of all time. Additionally, the most decorated British racer of all time, Jackie Stewart (who won world titles in 1969, 1971 and 1973), deservedly won the sports personality award in 1973. 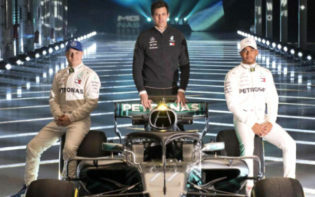 Hamilton’s work on the racetrack has certainly put him on British racing history’s podium, leaving question marks over his latest chance of securing the 2014 sports personality award. Lewis Hamilton and Rory McIlroy are set for a Sports Personality of the Year showdown after their individual triumphs this year. 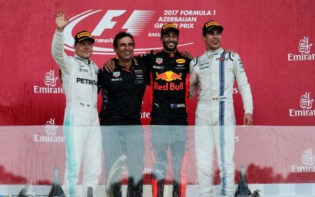 Hamilton’s success in Abu Dhabi on Sunday, hours after Mcllroy completed his European Tour season nearby in Dubai, triggered speculation as to which Brit merits the Sports Personality of the Year in Glasgow next month. Mcllroy’s accomplishments combined with his popularity amongst sporting fans makes him the bookie’s favourite for the award. It has been 25 years since golf has been afforded a sports personality winner, a ludicrous scenario for a sport that is widely played and supported in the UK. Regardless of subjective disposition regarding Lewis Hamilton, his consistent form throughout 2014 is sure to put him in an encouraging position for winning the sports personality award, as well as his potential to harness further success in 2015. What additional accomplishments may Lewis Hamilton acquire in order to gain legend status in Britain?